Have you been asking yourself “Is zoysia the right grass for my lawn?” Let’s take a look at why some homeowners choose it in the first place. 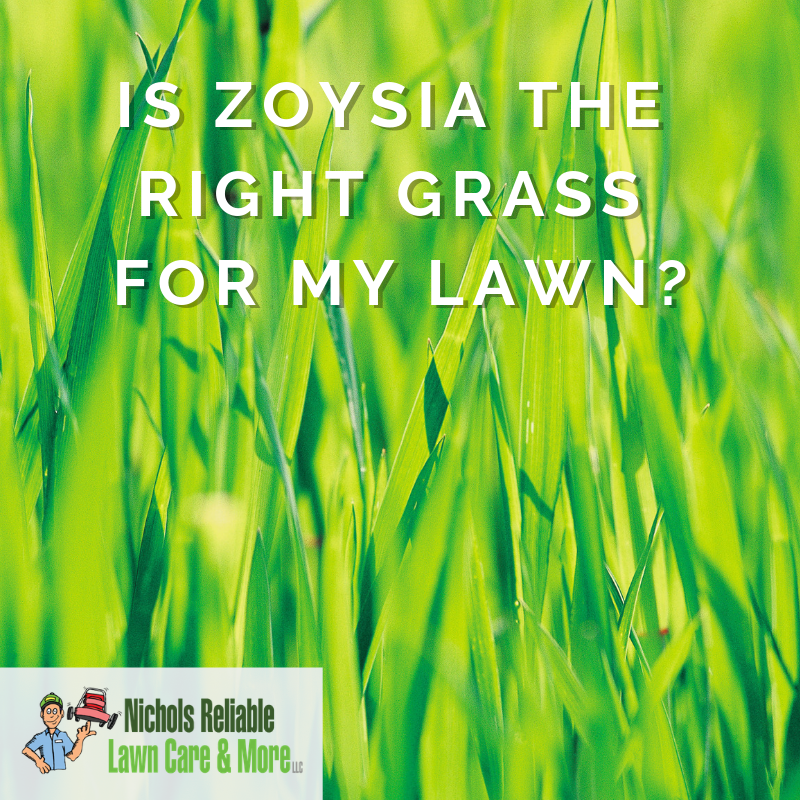 Then, see our checklist to determine if zoysia is the grass you need for your home. Homeowners choose Zoysia for many reasons. For one, it’s considered a “tough” grass. That means it’s hardy and grows well in a wide range of conditions. Zoysia also feels great to walk on, creating a thick, soft carpet-like feel on your feet. Zoysia is also easy to keep and cost-effective since it requires much less watering and mowing than most grasses. With all that in mind, it’s easy to see why people choose this grass but is it right for you? Is Zoysia the Right Grass for My Lawn? We created a checklist for you. Mark off all that applies to help you determine if zoysia is the grass for you. Your area experiences drought or water restrictions. See the latest U.S. Drought Monitor Map. You want to reduce watering frequency drastically. Summer days regularly exceed 80 degrees. Your grass must stand up to heavy traffic. Hilly or sloped areas make it difficult to grow grass. You want to choke out summer weeds and grab grass without pesticides. Reduce the risk of chemical exposure for kids and pets. Have difficulty growing grass because of sandy, heavy clay, or rocky soil conditions. Need a grass that won’t produce pollen. Require a grass that survives in temperatures up to 30 degrees below zero. Desire a soft, plush lawn to walk on. Your lawn receives 2-3 hours of direct sunlight a day. Did you know we are social? Follow us on Facebook, Instagram, and Twitter for all the best lawn care information.